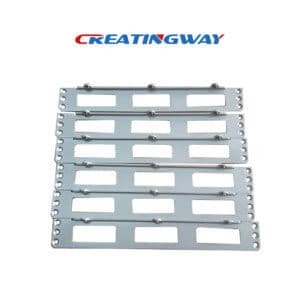 Every day, Creatingway always receive a large number of 2D or 3D drawing for new ideas and inventions from global customers. Basing on different features, sizes and levels of complexity depending on what the customer need to make. At the same time, we always asked our customers the function and application of the projects, thus provide accurate judgments and the best machining process to our customers for checking before quotation. In general, our common machining processes have: CNC machining parts, precise EDM, CNC Lathe Laser cutting, Metal sheet fabrication etc. Today we will share related two cnc cutting machining methods: CNC Laser Cutting & CNC Water Jet Cutting. CNC laser cutting process uses the energy of a laser beam to illuminate the surface of the steel plate or Aluminum plate to melt and vaporize the stainless steel. The laser source generally uses carbon dioxide laser beam, the work power is: 500-2500W. CNC Laser cutting is faster and more energy-efficient than plasma cutting for thin or medium-thickness sheet metal, most commonly steel or aluminum. And it greatly improve cutting spread and saves the production time, thus save the whole costs. From above the information, the laser cutting has obvious advantages in the whole. No matter from it is precision, speed, or cost. It is also much easier to process than other machining methods. Therefore, laser cutting is an indispensable part of modern industrial production. Water Jet cutting is ideal for stone, ceramics, and thicker metals which are more difficult to process by laser cutting or other methods. Unlike other material removal processes, water jet systems can also cut extremely hard, reflective and nonconductive materials. Thus it is an efficient and productive fabrication method. easily cut stainless steel or hard marble, granite etc. for other difficult to cut materials. Such as: aramid, titanium alloy etc. It is the best choose or unique processing method. No crack when cutting, and it can cut the gap very narrow material. In general, the cut incision of pure water is around 0.1mm to 1.1mm. It can be cut in all directions, including various shapes, angles and gradients. No necessary to make the grinding edge and other secondary processing. And it can effective reduce the dust and improve the working environment. Different cutting process, this production time and costs also are different. As one professional CNC Machining manufacturer. 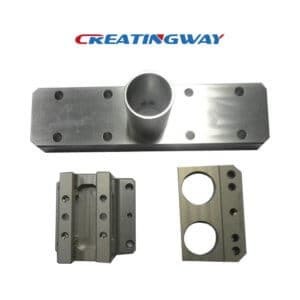 Creatingway always can provide the best suggestion and choice on the machining methods of the parts as our customer requirements and budgets. This had a lot of good information on the different machining processes. I’ve wondered about when water jet cutting would be better to use than laser methods. I can see how it’s more efficient for cutting stone, ceramics, and thicker metals. yes, they are different, but we can choice best process for your product, email us your inquire, we will get you support. Hi Becca, of course, if you need more information, then contact us. will get you more information on them, Thank you. How To Do Better Transfer Prototype From Raw Idea?